Founded in 2011, as part of Source in Asia Limited, as a division providing precision components to clients based in the UK. Over this time, we have concentrated our focus on becoming a professional, premier machining company, having built up on-site relationships over a number of years with our manufacturing partners, to provide clients with our extensive experience and expertise, giving low cost, high quality precision component solutions. With our partners, our machining service can offer precision machine services, CNC Milling, CNC Turning, Swiss Auto Turning and precision lathe turning. In addition we offer our clients both high and low volume production using a wide range of materials including aluminium, stainless steel, mild steel, brass, copper and plastics. Using our highly skilled sub contractors, we provide the best possible service, quality products and competitive pricing for our clients. Our process is carried out on modern CNC machines, using state-of-the-art technology, working to manufacturing standards expected in the UK and Europe. All our partners have ISO9001:2008 as a minimum accreditation with some having TS16949:2009. 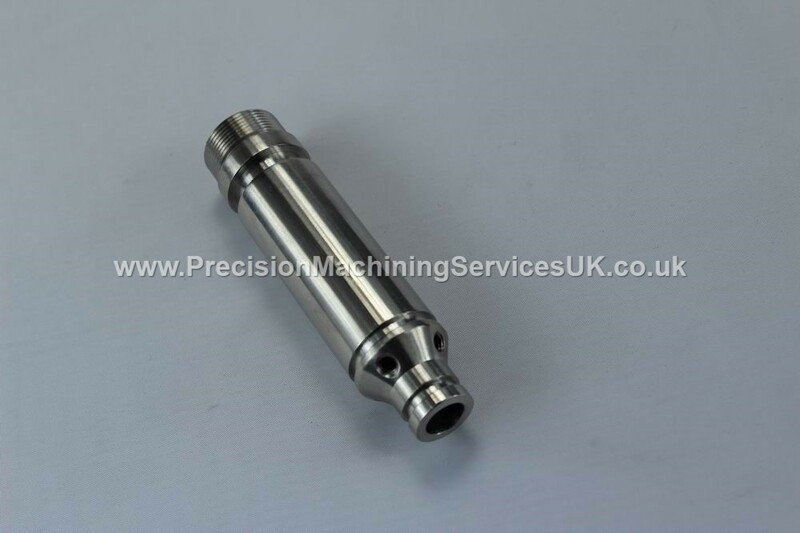 With our capabilities, Precision Machining Services UK can offer a value added service including laser etching, anodising, chromium plating, painting, powder coating and polishing of clients products.